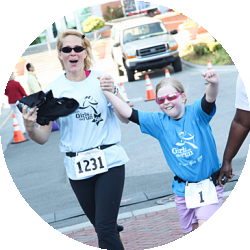 Bring Girls on the Run to Your Community! Girls on the Run is currently comprised of over 200 councils across the United States and Canada. 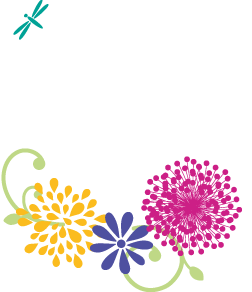 These councils were established by dedicated individuals who are committed to making a difference in the lives of girls in their communities. We want girls to have the opportunity to participate in Girls on the Run wherever they live. If you are interested in bringing Girls on the Run to your community, there are several steps you need to take. First, if you are unsure if there is already a council serving your community, please click here to find the locations in your state. Your community may already be served by an existing council. If this is the case, please contact your local council to discuss the opportunities that are available. If a council does not serve your community, please read through the following information to determine if applying to start one is something you would be interested in pursuing. There are two ways to bring Girls on the Run to your community. With this option you partner with an existing 501(c)3 non-profit organization to deliver Girls on the Run programming. If you are interested in starting an affiliate council, you must be a current employee of that existing organization. The initial membership fee for an affiliate council is $7,500. With this option you develop and operate your own 501(c)3 non-profit organization to deliver Girls on the Run programming. The initial membership fee for an independent council is $7,500. If you are interested in learning more, please complete our request form for additional information about starting a new council. We will provide additional information and work with you on the steps to complete the formal application process. Applications are accepted and reviewed twice a year. If your application is accepted, you will be required to attend national council director training in Charlotte, North Carolina before being officially certified as a Girls on the Run council. If you have any questions about starting a council in your area, please email us at info@girlsontherun.org.